The Ali G household is about to grow. 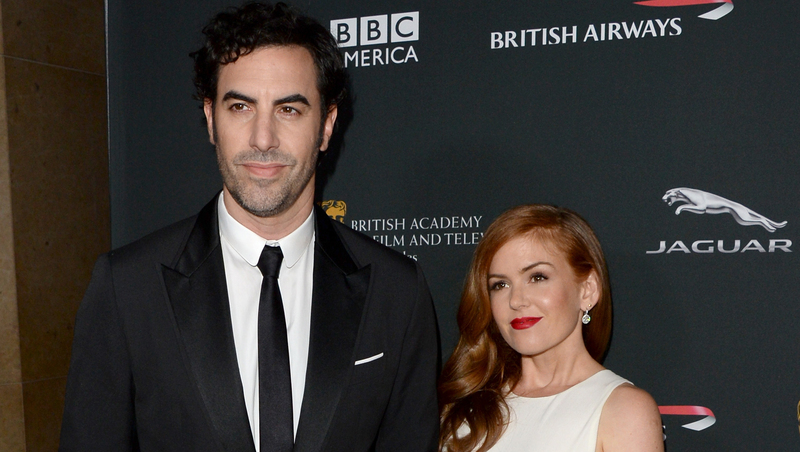 Isla Fisher and Sacha Baron Cohen are expecting their third child together, reports Us Weekly. The 38-year-old actress was spotted showing off a noticeable baby bump while in London on Tuesday. Fisher and Cohen, 42, tied the knot in 2010 and have two daughters: Olive, 6, and Elula, 4. Isla is connected to the upcoming film "Now You See Me 2" with Woody Harrelson, Mark Ruffalo and Dave Franco, but Us Weekly cites a source who says she's could be pulling out of the gig because of the pregnancy.